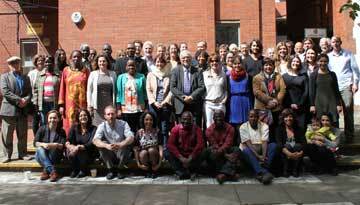 Egypt’s religious diversity, encompassing Christian, Jewish and Bahá’í communities as well as a range of Muslim groups such as Shi’a, Ahmadis and Quranists, is matched by the rich history of its many ethnic groups, including Amazigh, Bedouin and Nubians, indigenous in the region for centuries. Their contribution to the country’s cultural life, however, has been largely sidelined by a long process of discrimination that has explicitly elevated the identity of the Arab and Sunni Muslim majority at the expense of its minorities. After decades of authoritarian rule and the political upheaval that followed the 2011 uprising, many hoped that the drafting of Egypt’s 2014 Constitution represented a milestone for the country and the prospect of a more secure future for all its citizens, regardless of faith, ethnicity or gender. However, these hopes remain unfulfilled, with little improvement in the situation of the country’s minorities, including their access to justice. 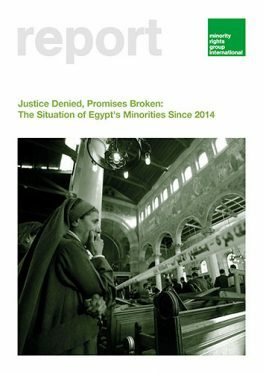 This report, Justice Denied, Promises Broken: The Situation of Egypt’s Minorities Since 2014, examines how the legacy of this discrimination continues to this day and the specific issues that different communities have experienced since the passing of the country’s 2014 Constitution. Since 2014, the government of President Abdel Fattah el-Sisi has overseen an increasingly repressive crackdown on domestic political opposition, including arbitrary detention, torture and deaths in custody. While affecting all Egyptians, the plight of the country’s minorities brings these issues into sharp relief and illustrates the broader reforms that need to take place before the promise of equality, security and freedom for all can be realized. While there is widespread recognition of the danger that extremist groups pose to minorities, the failure of the state to prioritize their protection and even its targeting of these communities themselves is a central driver of the discrimination and violence they experience to this day.